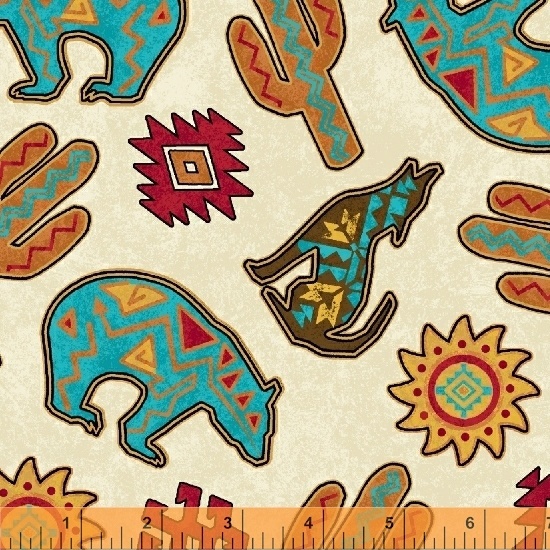 Traditional turquoise, red clay and desert sand are the backdrop for Coyote Canyon, a collection of patterns that draw inspiration from the American Southwest. Dancing Kokopelli, geometric painted animals, stylized lizards, beaded jewelry and turquoise buckles add hints of sophistication and style. On Sale: January 2019. Ships: July 2019. 16 skus.